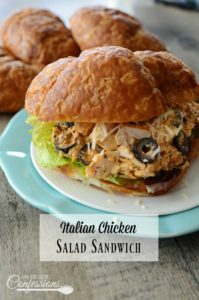 Pressure Cooker BBQ Chicken Sandwiches are one of the quickest and easiest meals you will ever make! If you make this chicken in a crock pot, it will take most of the day until it is fall apart tender. In the electric pressure cooker, it takes about an hour to cook. The chicken will be so tender and will pretty much fall apart. If you don’t have an electric pressure cooker yet, I really don’t know what you are waiting for. It is seriously a gamer changer in the kitchen! They are well worth the money. I love being able to throw food in the pressure cooker and pretty much forget about it until we are ready to eat. It really does make life so much easier when you don’t have to worry about babysitting dinner as it cooks on the stove or in the oven. I cooked the chicken in the electric pressure cooker for an hour and then let the pressure release naturally. Let me tell you, the smell of the chicken as soon as you open the lid will knock your socks off! It is amazing to say the least. The chicken practically falls apart as soon as you touch it with the tongs. 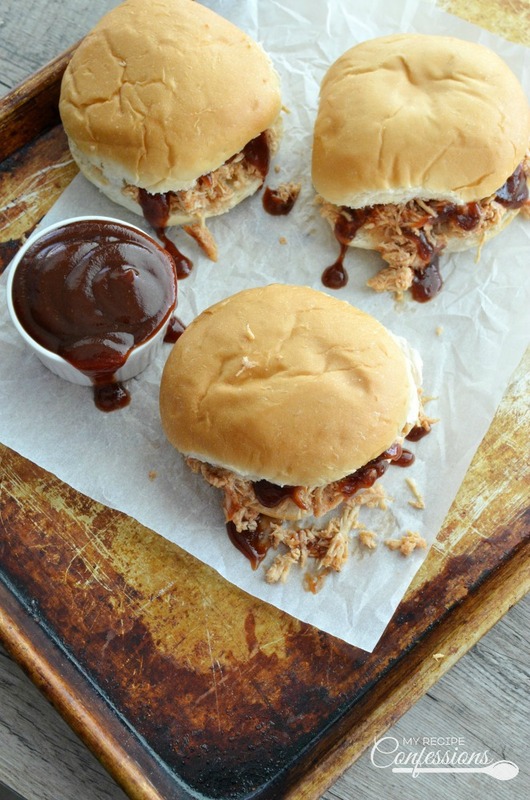 After shredding the chicken, stir in some Wright’s apple wood liquid smoke and your favorite barbecue sauce. If you can’t find the apple wood liquid smoke, you can use hickory liquid smoke. 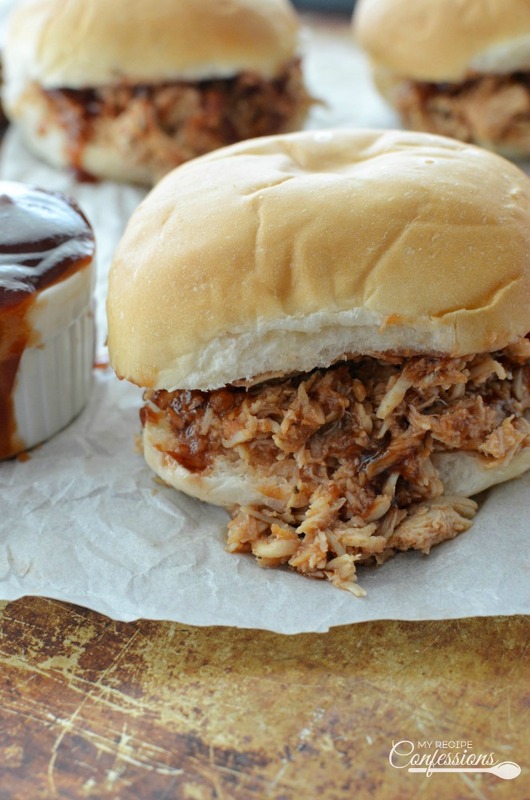 This Pressure Cooker BBQ Chicken is seriously out of this world! 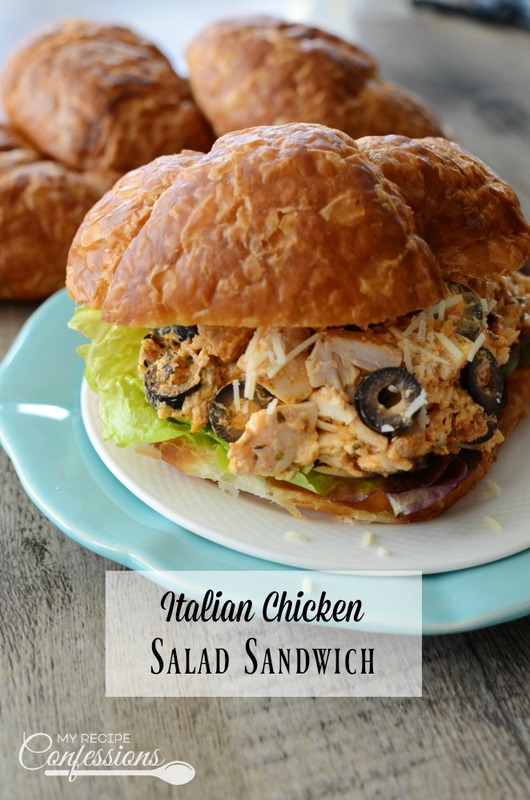 The great thing about this chicken is that it is so versatile. 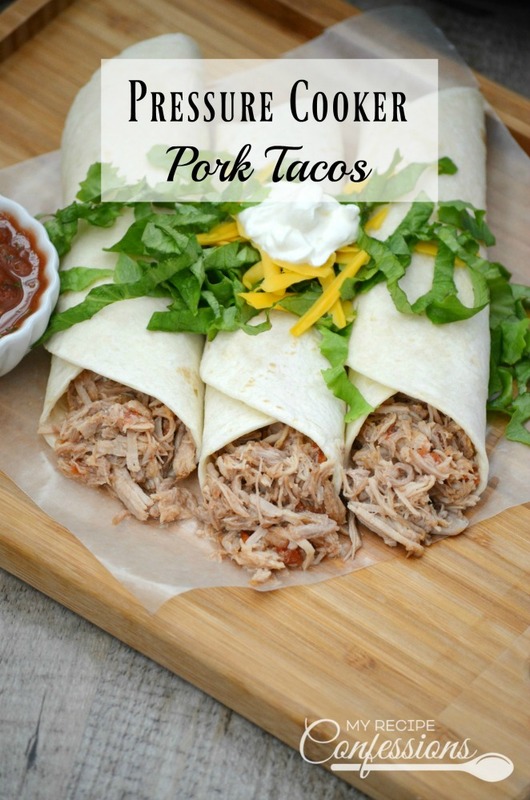 You can eat it on a bun, use it in a wrap, on top of a green salad, or even on top of nachos. It is so delicious that you will want to add it to just about everything. * The link below is an affiliate link which means that I receive a commission if a purchase is made at the website. 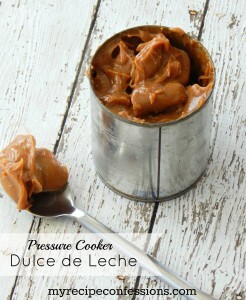 Click here to see the Electric Pressure Cooker that I love! In a bowl, mix the kosher salt, garlic powder, onion powder, smoked paprika, and black pepper. Cut the chicken into 3 to 4 inch sections and place in a large zip lock bag. Sprinkle the kosher salt mixture over the chicken in the bag. Seal the bag and shake to completely coat the chicken. Put the wire rack in the bottom of the pressure cooker and pour the water in. Place the chicken on top of the wire rack. Place the lid on the pressure cooker and make sure that the pressure release is set to close and that the lid locks in place. Please remember to follow the use directions for your pressure cooker. Set the pressure cooker on high ( I use the meat/poultry button) and set the timer for 50 minutes. When the timer beeps, allow the pressure to release naturally. Open the lid, transfer the chicken to another bowl and allow the chicken to rest for 5 minutes. Shred the chicken and add 1/2 cup of the juice left in the pressure cooker, 1 tsp. of apple wood liquid smoke, and 1 cup of BBQ sauce. Mix well and enjoy! How many people will this feed ? 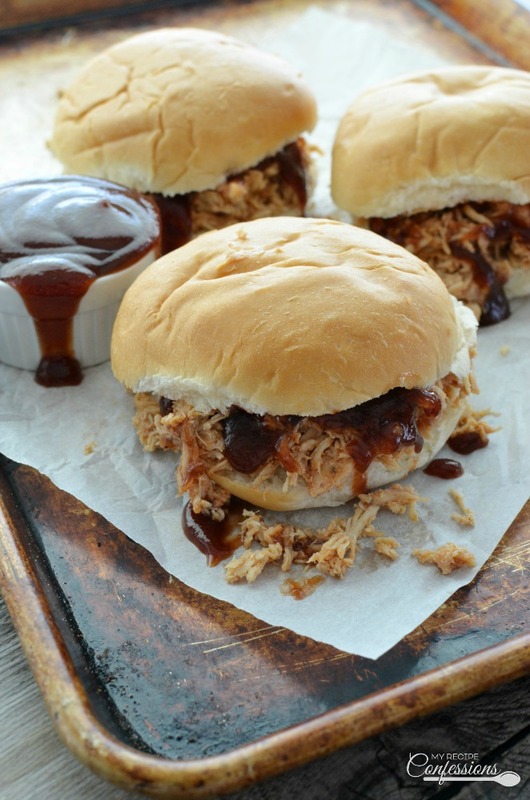 The Pressure Cooker BBQ Chicken Sandwiches recipe will feed about 8 to 10 people.